Accrington Stanley win 11-10 on penalties. Highlights of the EFL Cup match between Leyton Orient and Fulham. Cauley Woodrow struck twice as Fulham survived a late Leyton Orient surge to win their EFL Cup first-round tie 3-2. Teenage debutant Dennis Adeniran scored the only goal of the first half before 21-year-old striker Woodrow netted twice in three minutes shortly after half-time. 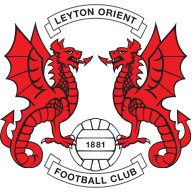 Orient attempted an unlikely comeback as substitute Paul McCalum bagged a double, his second with nine minutes left on the clock, but Fulham resisted to progress. Adeniran's opener arrived on 29 minutes when he ran onto a corner from the right taken by Lasse Vigen Christensen to powerfully head the ball past O's teenage goalkeeper Sam Sargeant. The 17-year-old goalscorer was booked for jumping into the stand behind the goal housing the Cottagers supporters as he celebrated his special moment. 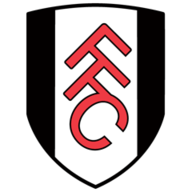 Woodrow appeared to have put the game to bed when he unleashed a 30-yard pile-driver, after Scott Parker had rolled a free-kick to him, and he then shrugged off a challenge from Aaron Pollock before cutting in form the left to net his second. Fulham, who made 11 changes from the side that started the Sky Bet Championship fixture with Newcastle United last Friday, were in complete control at that stage but Orient's double substitutes of Dean Cox and McCallum brought the home side renewed hope as the pair teamed up to pull back two goals. Cox delivered a corner for McCallum to head into the net on 72 minutes before McCallum ran onto a Cox cross with 10 minutes remaining, but the visitors held out under increasing pressure.